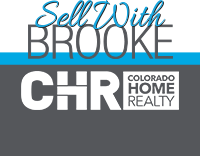 Immaculately maintained tri-level home in the heart of Highlands Ranch. Vaulted ceilings, hardwood floors, new carpets and designer paint throughout. Updated kitchen with beautiful granite countertops and new stainless steel appliances. Remodeled master bath featuring his and hers sinks. Master closet with custom shelving. The basement has been finished as a 4th bedroom and a full bath with built in closets, but could also be used as a rec room, playroom or home office. New roof in 2013. Home is within walking distance to schools and has access to Highland Ranch amenities including 2,000 acres of open space, 70 miles of paved and natural trails, over 20 parks, as well as access to four full-scale, state-of-the-art recreation centers.